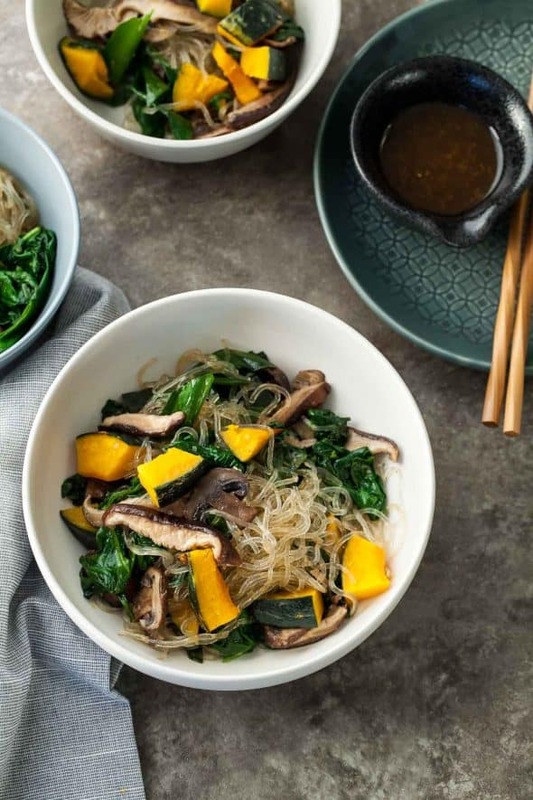 A healthy and easy kelp noodle dish with a medley of mushrooms and vegetables and a savory-sweet sauce. A big slurp-worthy bowl of noodles is decidedly comforting any time of the year, but even more so when the temperatures drop. It’s what I make when I’m longing for something warm and soothing that’s not soup. One of my favorites is a spin on a Korean stir-fry called Japchae. Easy enough for a weeknight dinner, it’s both simple and satisfying. 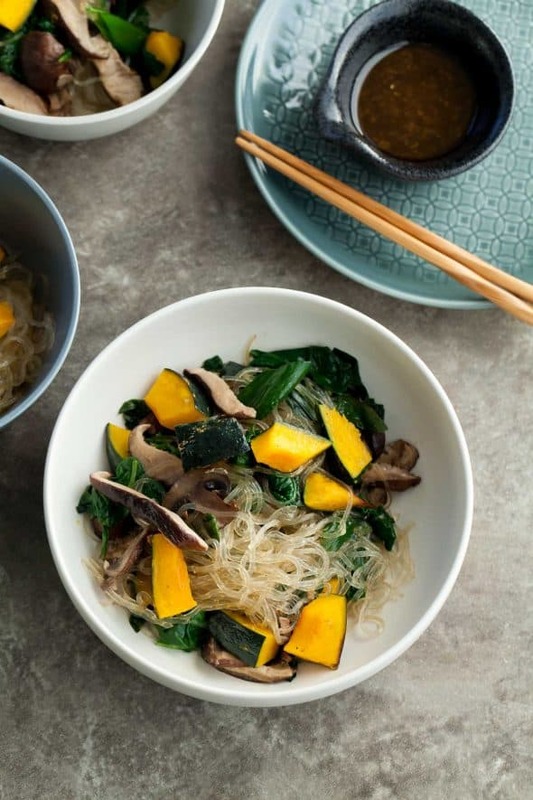 While traditional Japchae is made with starchy glass noodles I’ve substituted in my beloved and quite frankly easier to find kelp noodles instead. The neutral taste, along with their satisfyingly chewy texture makes them a perfect low-cal and low-carb addition to stir-fries or any number of noodle dishes. 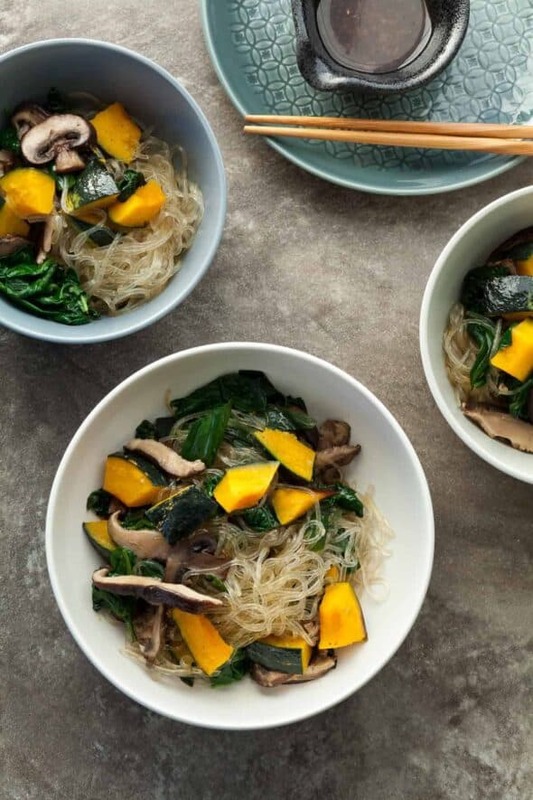 The slick and skinny kelp noodles are first soaked to soften them, then tossed in a hot pan with mushrooms, spinach, scallions and kabocha squash, and doused in a simple savory-sweet sauce with a hint of garlic. 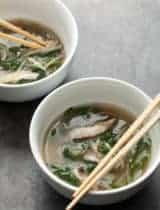 Each bite is salty and sweet, the vegetables tender and yielding while the noodles springy and stretchy with a bit of chewiness. 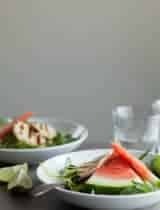 It’s an easy dish that doesn’t require much time at the stove which makes it a quick and reliable choice for weeknights. A bit of chopping while the noodles soak and the squash and mushrooms roast and everything is ready to hit the pan. 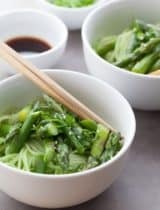 You can take these noodles in a number of different directions depending on how you are feeling and what vegetables are in season. I like to use kabocha squash but butternut would work as well. 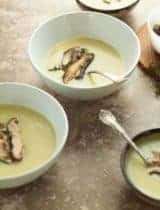 Shiitakes add a wonderful flavor and texture but if you’re lucky enough to find enoki mushrooms, throw them in at the end as well. Whatever combination you choose, it’s sure to be a welcome addition to the rotation. 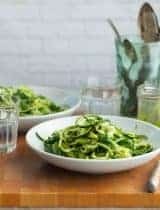 Rinse kelp noodles and place in a large bowl. Fill bowl with enough filtered water to just cover the noodles and add the lemon juice and salt. Stir gently to combine and set aside for 15-20 minutes until noodles are soft. On a parchment lined baking sheet, toss the squash with ½ Tablespoon of the coconut oil and a pinch of salt and pepper. Arrange in a single layer and roast for 20 minutes until tender. 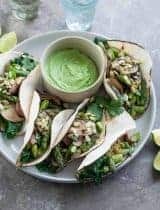 On a separate parchment lined baking sheet, toss the sliced mushrooms with another 1 Tablespoon coconut oil, coconut aminos, grated garlic and another small pinch of salt and pepper. Arrange in a single layer and roast for 20 minutes until tender. Rinse softened noodles again and drain well. Heat the remaining ½ Tablespoon of coconut oil in a large skillet over medium heat. Add the scallions, and spinach and cook, stirring, until spinach is wilted, about 2 minutes. Add rinsed and drained noodles, along with sauce and roasted squash and mushrooms. Turn heat down and cook tossing noodles with sauce and vegetables for another 2 minutes until well combined and heated through. 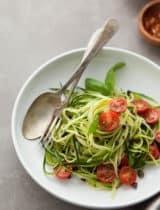 Yes but the noodles are made with kelp instead of starch which makes them low carb and low cal! 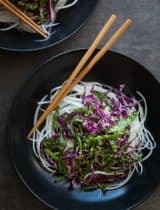 Such a stunner and simple meal to satisfy the noodle craving. Pretty! !